Flange Preservation Wrap is a cold applied, VOC Free, self-hardening wax-based Tape that protects piping and metal structures from damage and deterioration caused by corrosion. Structures such as bridge crossings, flanges, valves, and all types of piping are subject to corrosion which leads to deterioration of the structure. 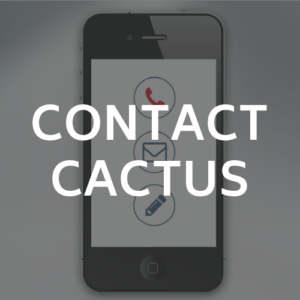 Cactus corrosion prevention Wrap technology is a specially formulated 100% solids wax coating system which is suited for both above and below ground applications including vaults and close quarters. Operations are back up and running immediately after the Wrap is applied. Cactus recent Flange Preservation Wrap DEMONSTRATION VIDEO shows how quickly and easily the Wrap system is applied to two flanges. The Wrap can also be cut open and effectively re-sealed, allowing for inspection of the flange interfaces when required. 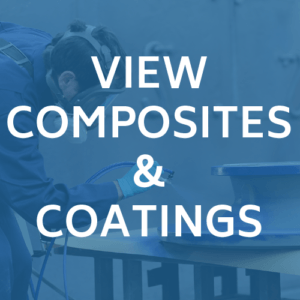 Surface preparation is the essential first-stage treatment of a substrate before any coating or Wrap is applied. 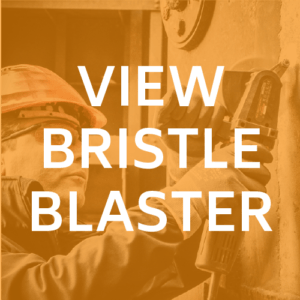 The Bristle Blaster surface preparation tool not only removes the contaminants in the material such as residual mill scale, oil, and rust, but also creates a suitable surface profile that best works with the Wrap to be applied. The next step of the Wrap system is the application of Tapecoat Flangecoat. This cold applied compound fills the small gap between the two flange interfaces, preventing rust and corrosion of that surface area. Next, a minimum of 100 Microns of Primer is applied to both flange interfaces, completely wetting out the surface, displacing any moisture and aiding the Tapecoat application. The Wrap is applied immediately after the Primer, encapsulating both flange surfaces and the bolts on each side. It’s important to work the Wrap thoroughly, smoothing the surface and sealing the seams, ensuring 100% contact to the flange interfaces and bolts. This durable and effective system protects steel and concrete from corrosion in even severe operating environments. No wait time is required – the pipe can function immediately after the Wrap has been fitted and smoothed. A significant benefit of the Wrap is it can be quickly and easily cut and opened for inspection of the flanges, before being re-moulded. This ensures the flanges remain protected after inspection. CLICK HERE to watch our Flange Preservation Wrap Demonstration Video.